Razor’s Edge is the new release of Ninja Gaiden 3 now coming to Playstation 3 and Xbox 360 after debuting on Nintendo WiiU. Ninja Gaiden 3: Razor’s Edge argument has to do with the Regent of the mask, the bad guy with the one to finish, and it also has a powerful army of ninjas and monsters, far more dangerous than fun ninja turtles return next year to film. And it will not be easy; the difficulty level is very high and requires great effort and skill on our part. Fighting with swords are extremely violent and the game’s creators spare no blood. Amputations and beheadings will be the order of the day, and all served in a truly spectacular and very striking. 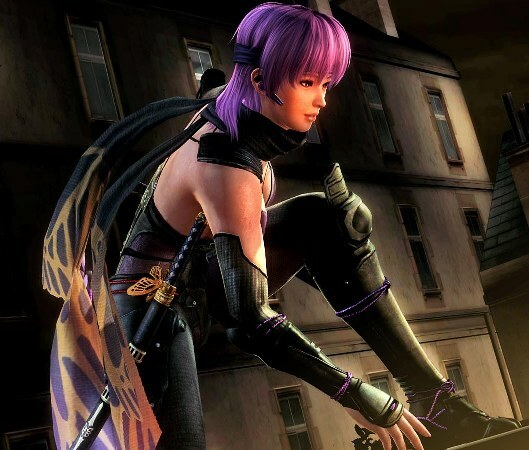 But perhaps more plausible novelty is the introduction of a new character controllable in Story Mode, Ayane, the famous Dead or Alive fighter involved in different missions to those experienced by Ryu. The girl has a range of moves and attacks acceptable but less rich than that displayed by Ryu, but her speed and agility is increased. We will also have new weapons to deal with the fighting, which greatly enhance the action. Maybe not the best title in the series, but it is quite entertaining and we will have a good time fighting with swords. It is an adventure more than acceptable and presents a few new features over the original, and also its price is quite attractive.